If your child has suffered a brain injury as a result of medical malpractice, the attorneys at Cardaro & Peek would like to assist you and your family. Birth injuries caused by medical malpractice are among the most heartbreaking and devastating events which can befall a family or single parent. Birth injuries range in severity from minor to serious and life-altering. If your child has suffered a brain injury as a result of medical malpractice, the attorneys at Cardaro & Peek would like to assist you and your family. This type of birth injury involves damage to the group of nerves that originate from the upper spine and extend through the neck, shoulder, arms, and hands. Damage to these nerves can range from temporary to permanent, with approximately 10% of Brachial Plexus injuries resulting in permanent disability. Approximately two or three in every 1,000 children have cerebral palsy, a condition characterized by muscle spasms and a lack of development in motor skills. There is currently no cure for cerebral palsy, and children with this condition may never be able to live independently. This condition characterizes a collection of blood below the covering of the skull bone. A cephalohematoma typically occurs during labor and delivery, and it’s often caused by improper use of birthing tools. 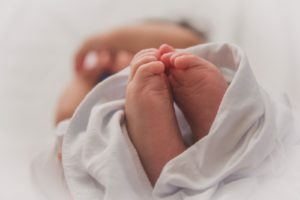 When a delivery is particularly complicated, or a medical professional does not implement best practices, newborns can suffer broken bones or fractures. In some cases, the fracture will heal on its own. This condition occurs when the newborn does not receive sufficient amounts of oxygen before or during delivery. Side effects include labored breathing, seizures, or even coma. In some cases, the condition will clear up on its own. However, Perinatal Asphyxia could lead to short-term and long-term disabilities. If a medical professional deviates from the standard of care, and your child suffers as a result, you may be entitled to compensation. Whether the effects are minor or life-altering, compensation could help ease the pain of expensive medical bills and necessary care. This entry was posted on Wednesday, November 28th, 2018 at 12:43 pm. Both comments and pings are currently closed.